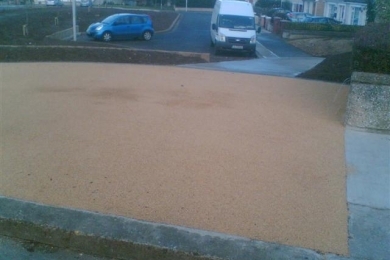 Tarmac overlaid with 2-5mm Autumn Gold aggregate. 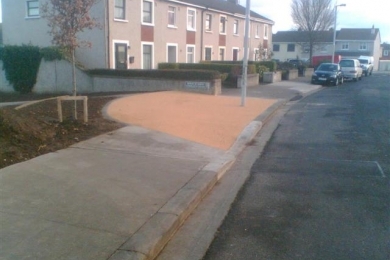 Stone Surfacing are an Irish company and we specialize in the application of Anti skid and Cycle track surfacing for the commercial marketplace and local authorities. 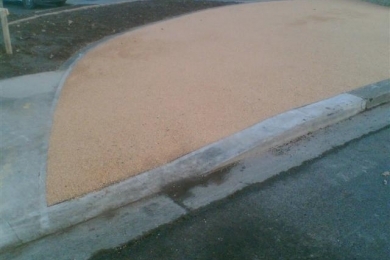 We also apply resin bonded aggregate and resin bound aggregate to new or existing concrete and tarmac driveways, pathways, walkways, courtyards etc. The finished surface looks great, and is safe, low maintenance and hard wearing. We have laid these products all over Ireland with great success.